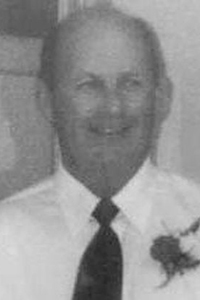 DURHAM – Roy A. Dewitt, 72, of Davis Road in Durham, passed from complications of multiple myeloma and lung cancer on April 8, 2019. He was born on Sept. 22, 1946, to George and Marion Mead Dewitt in Ayer, Mass. As a young boy the family moved to Durham, Maine, where he and his brothers had many adventures at Run Around Pond. A contractor by trade, he built hundreds of homes in his career. “He will be fondly remembered for his strength, work ethic and commitment to family. Roy never forgot a birthday or missed an opportunity to deliver pumpkins to the grandkids.” Heather. “I will always be grateful not only for the lessons he taught me about building but about life itself.” Kevin. “I want to thank him for the faithful Sunday visits with donuts for grandkids and for always having time for me.” Rhonda. Roy is survived by his wife, Patricia Libby Dewitt; children, and stepchildren: Kevin and Lisa Dewitt, Rhonda and Keith Patrin, Heather Raubeson, Bob Catlin, Dan Catlin, Jessica Garland, Jennie Cass, many grandchildren and great-grandchildren. His siblings: Robert and Donna Dewitt, Walter and Gloria Dewitt, Laura and Deverne Foster, Veronica Jewell, Meg and Bruce Vosmos, Mike and Camilla Robinson and Thelma Dewitt as well as many brothers and sisters-in-law. He was predeceased by his parents, and brothers, William and Gregory Dewitt. A celebration of life will be held at a later date. Online condolences may be sent to www.funeralalternatives.net.